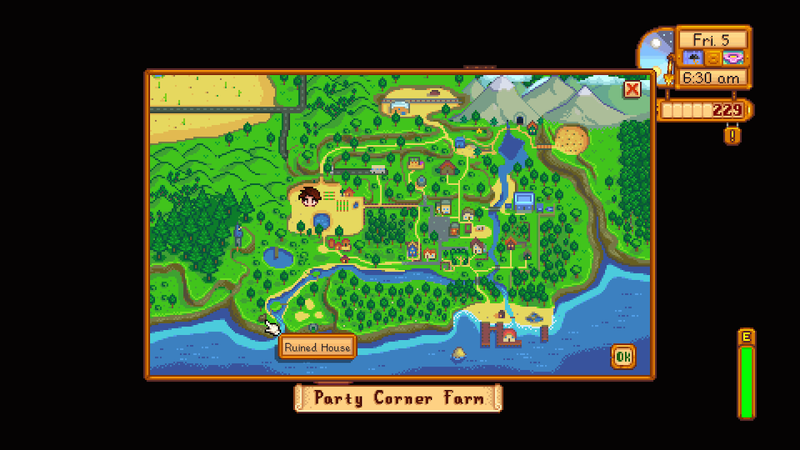 Stardew Valley presents you with a rundown farm and limitless possibilities from its dreary outset. It can all seem a bit overwhelming at first, but focusing on the myriad quests the game gives you is a great way to learn the ropes. One of the first you are given is ‘Introduction’ and is as simple as meeting every NPC in Pelican Town. This is pretty easy if you know where to look, which is where this Stardew Valley Villager Location Guide comes in! We’ll list all of the NPCs you’ll need to meet, alongside where and when you can find them. We’ll give you all of the info you need to know about the Introductions quest in Stardew Valley. For more on Stardew Valley, be sure to check out our Stardew Valley Guides Hub. There are links to all of our Stardew Valley Guides Content. From fishing, to control tips, we’ve got you covered. You’ll be given the Introductions quest at the start of Stardew Valley. It tasks you with speaking to 28 of the residents of Pelican Town and can be a tricky affair if you don’t know where to look. We recommend making a note of everyone you meet as you go, so you can work through the list below. You’ll need to interact with everyone, and start up a conversation. One of the first tasks you’ll be given in Stardew Valley is to head out and meet everyone in Town. This is easier said than done, as there are 28 to meet in total, and some are found in some seriously weird places. We’ve listed all 28 townsfolk below, alongside details of where you can find them. Lewis - the mayor of Stardew Valley, lives at the center of the village, you’ll find his truck parked outside his house. So what do you get for all your hard work traipsing around Stardew Valley, well it’s actually a pretty valuable reward. For completing the Stardew Valley Introductions quest, you’ll get 100 friendship points with everyone in town. This will really come in handy later, and if you’re trying to romance anyone. For more on Stardew Valley, be sure to visit our Stardew Valley Marriage Guide. For everything related to fishing, head to our Stardew Valley Fishing Guide.